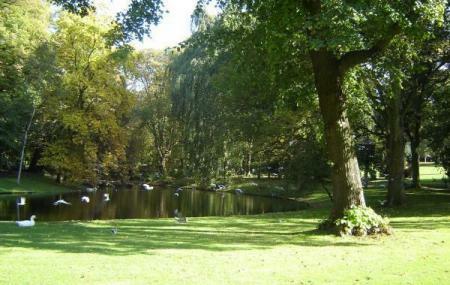 This is the main park of the Schaerbeek area and it's quite nice. Its creek fed ponds have lots of running tracks going along their shores. The center has a lovely wide promenade. There are a few giant sequoia trees for you to photograph. Lots of facilities too - the Crossing Stadium, minigolf, archery area, a small zoo, a dairy, lots of sculptures. The Cherry Festival is held at the park on the last day of June. Common animals spotted here include the hedgehog, rabbit and red fox. Birdies will find a lot to photograph too. It’s said the park for named by a 16th century pilgrim from Jerusalem who found it remarkably similar to a place in the Holy Land. How popular is Josaphat Park? People normally club together Place Royale and Manneken Pis while planning their visit to Josaphat Park.